Anime Los Angeles 2019 (ALA) was held on 10-13, 2019 in Ontario, California. First Anime Los Angeles was held on 28-30 January, 2005 at Airtel Plaza Hotel, Van Nuys CA. 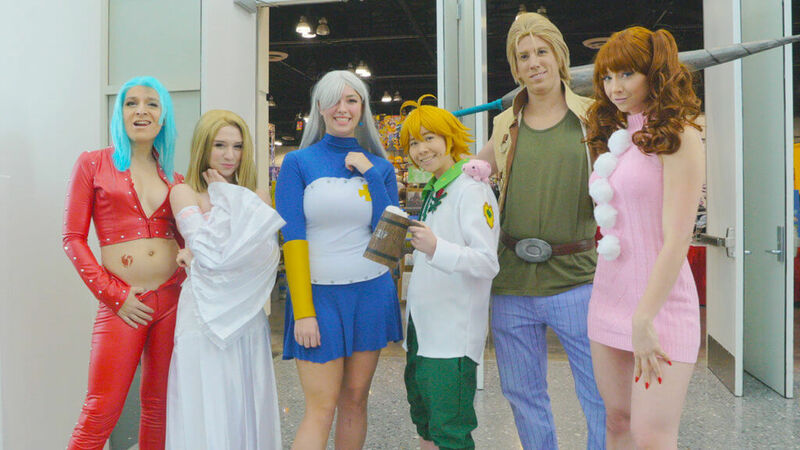 It started as a small event with 616 visitors in the beginning, and it has expanded to one of the biggest anime events in United States, which has more than 10,000 people every year. When you go inside of the hall, first of all, you will see a big open space where all the cosplayers walking around, and you can take a picture with them. Anime Los Angeles is similar to AE, however, it has more cosplayers and focuses on them than AE. You will be surprised with the quality of the cosplayers. Some creators spent 6-12 months to make their special cosplay item. Next, as you go in more and more, there is a big open space where a lot of shops are, and you can buy all the anime products, such as weapons from anime, anime figures, collaborative T-shirts and so on. One of the interesting shops in the event is “Anime Jungle”. Anime Jungle has its actual store in little Tokyo , Los Angeles. They had really interesting arts in their booth, and one of the impressed arts was a real looking plastic weapons, like swards and knives crafted by Takumi, from Takumikougei in Hyogo, Japan. Also, they had a collaborative POWERPUFF GIRLS SHIRTS with Designer Rimma ,from Tokyo Harajuku fashion brand called “ACDC RAG”. 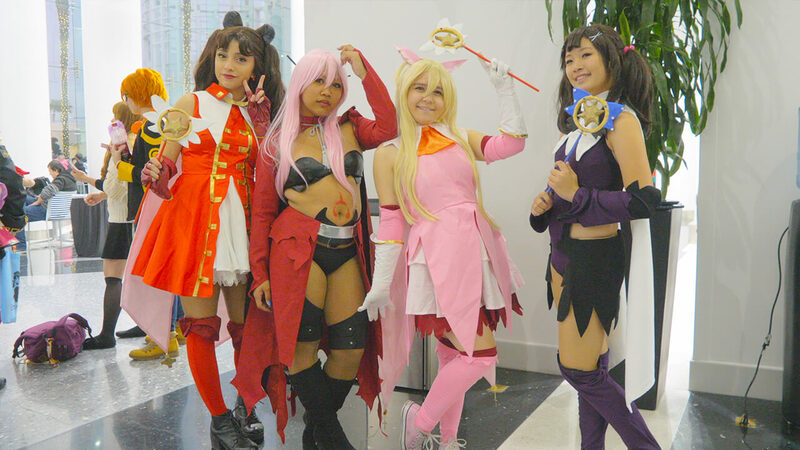 Lastyly, Anime Los Angeles is a really fun anime event that you can have fun not only interacting with cosplayers, but also find awesome items made by sophisticated craftsmen and designers.